Can you spot the self-published titles? 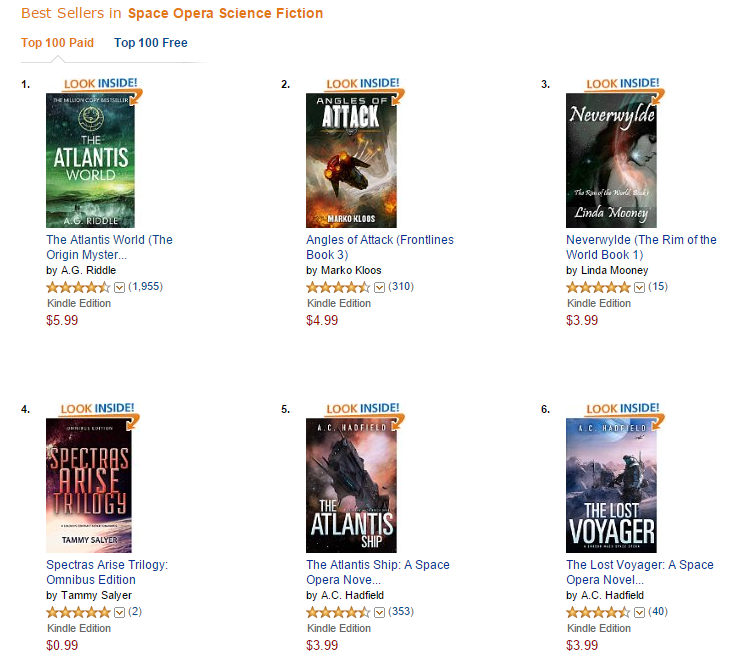 The truth is that self-published titles now regularly top the charts - if not outright dominate them. Successful self-published titles have great covers and lots of fervent fans - often the only way to distinguish them from traditionally published titles is the publisher listing in the description (and the price - indie titles are usually less than $5.99 for single titles). 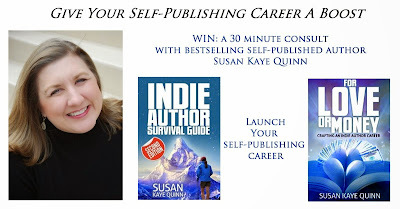 How do you become one of these successful indie authors? Hard work, luck, and educating yourself about how the indie marketplace works. Here are FIVE TIPS to get you started. 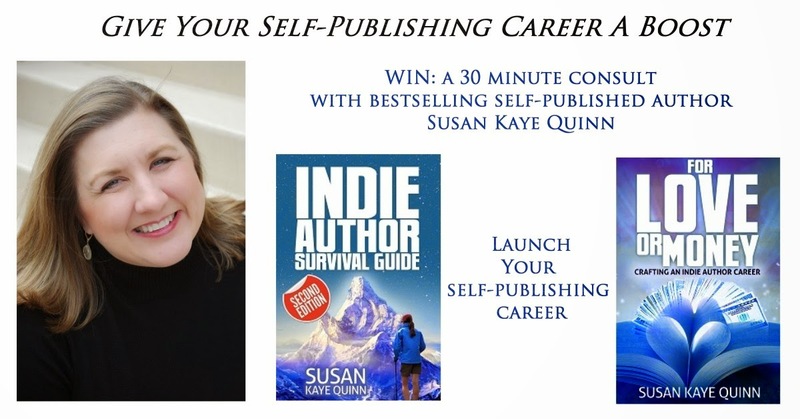 For a full run-down on how to launch your indie author career, see my Indie Author Survival Guide (Second Edition now available). To take your indie author career to the next level, pre-order my For Love or Money: Crafting an Indie Author Career (releases 7.14). 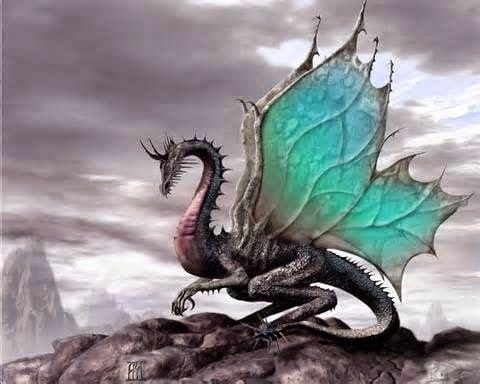 TIP #3: Launch With a Series - You don't have to pre-write an entire trilogy and release the books one month apart... but that's an option now, with indie publishing. If you can write a novel in six months, you could publish the first book, then write and publish Books 2 and 3 within a year. I've seen both models be successful (note: don't wait more than six months between books). Make the commitment to quickly build a backlist and get books into readers' hands. Delivering three connected novels to readers within a year is a strong way to launch a career (note: I'm talking novels here, not novellas or short stories or serials - those are fun, but not career-launchers). 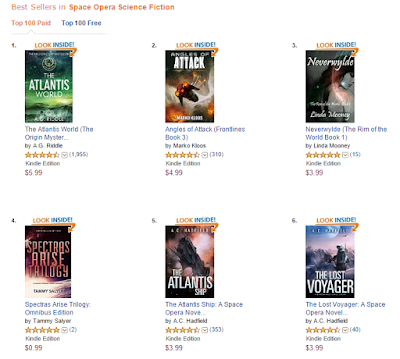 TIP #4: Launch in Amazon then Go Wide - There's a lot to learn in indie publishing, so staying focused can be key to staying on track - plus launching a new series in the Kindle Unlimited system gives new authors/new series a boost in visibility. Use this to get your footing. Then, when you've established your brand as an author, you can expand to the other retailers (Nook, Kobo, iTunes, Google Play). You'll be a veteran at that point and in a good position to weigh the pros and cons of exclusivity vs. reach. TIP #5: Never Stop Writing - the single most important thing you can do in your career is write the next book. Generating new IP (Intellectual Property) is the one thing only you can do - the rest can be outsourced. It's tempting to get bogged down in all the latest and greatest changes in the industry, but the biggest lever you can pull to move sales is to launch a new book. Or an entirely new series. You want to study the bestsellers, but always remember: your biggest asset is your uniqueness. Make sure you're continually feeding your creativity, reaching for that next level with your work, bringing out the fullest expression of your abilities. Spend the bulk of your time doing creative work - reading, writing, watching movies, taking workshops, using craft books to boost your skills, exploring new forms, learning how to write faster... whatever works for you to elevate your craft and increase your enjoyment of writing. This is the creative life you want, yes? I really should have started with TIP #0: Decide What Mountain You Want To Climb - I have an entire section in my Indie Author Survival Guide about making a Mission Statement so that you know you're climbing the right hill before you set off in dogged pursuit of the success you think you want. Knowing what will make you happy, then having a plan to get there? That's the only key to success you actually need. p.s. if all of this terrifies you, I understand. Truly. Watch this webinar on facing your fears and don't let that hold you back. Your tips great helped him and also this post video give me good knowledge and also tell us how relief to your after study thanks for share it research fellowships .